The untold story of the bloodiest and most dramatic march to victory of the Second World War. 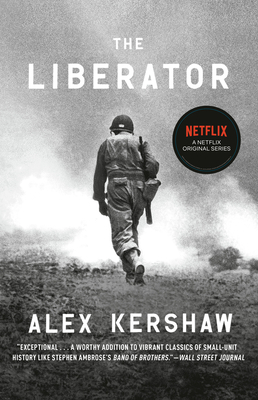 Written with Alex Kershaw's trademark narrative drive and vivid immediacy, The Liberator traces the remarkable battlefield journey of maverick U.S. Army officer Felix Sparks through the Allied liberation of Europe—from the first landing in Italy to the final death throes of the Third Reich. Over five hundred bloody days, Sparks and his infantry unit battled from the beaches of Sicily through the mountains of Italy and France, ultimately enduring bitter and desperate winter combat against the die-hard SS on the Fatherland's borders. Having miraculously survived the long, bloody march across Europe, Sparks was selected to lead a final charge to Bavaria, where he and his men experienced some of the most intense street fighting suffered by Americans in World War II. And when he finally arrived at the gates of Dachau, Sparks confronted scenes that robbed the mind of reason—and put his humanity to the ultimate test. ALEX KERSHAW is the New York Times bestselling author of several books on World War II, including The Longest Winter and The Bedford Boys. He lives in Williamstown, Massachusetts.